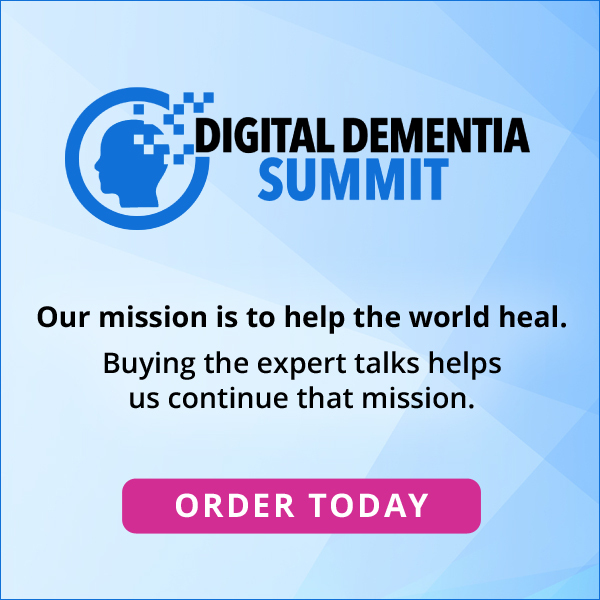 SUBJECT: Join me as an affiliate for The Digital Dementia Summit! SUBJECT: [Affiliates] Add this digital dementia event to your promo calendar! 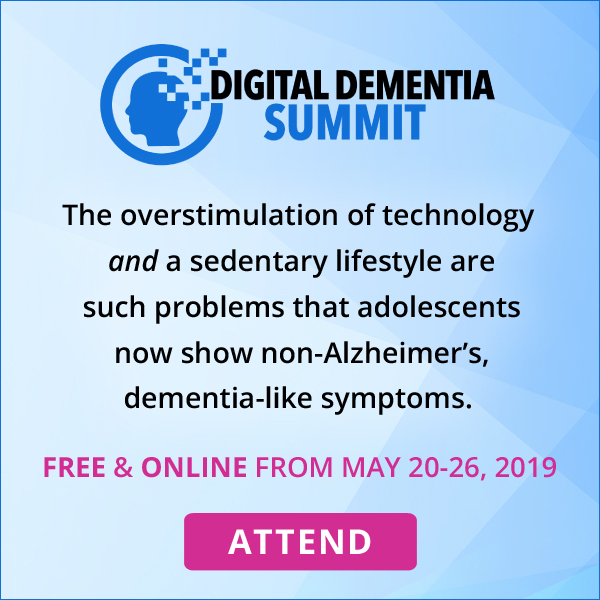 Join me in promoting The Digital Dementia Summit, taking place May 20-26, 2019! Dr. Krista Burns, is co-founder of the American Posture Institute, as well as a Certified Postural Neurologist, Certified Posture Expert, Doctor of Health Administration and Doctor of Chiropractic. She's a highly-sought media expert, author and speaker, and authored a textbook, The Posture Principles. Plus, this event is taking place on the Health Talks Online / HealthMeans platform, which pays out more than $1 million in commissions each year. AND, any new leads you deliver to a Health Talks Online event means you're also set as the commission lead for their new monthly subscription community, HealthMeans, and any of their events for the lifetime of the account. P.S. 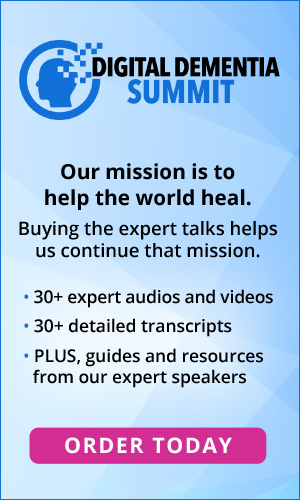 Health Talks Online runs 15-20 summits per year, plus their new subscription community is growing quickly. Get started earning commissions with them when you promote this event today! SUBJECT: Early registration for the Digital Dementia Summit! SUBJECT: Don't miss the Digital Dementia Summit! SUBJECT: Join me for the Digital Dementia Summit! Have you ever noticed someone in a "tech trance?" Children in a "computer coma" as they sit and walk around hunched over their devices? Human posture is devolving at the speed of technology, and posture is significantly linked to active brain health. "Digital dementia" is very real -- overconsumption of screen time can lead to a breakdown of cognitive abilities and deteriorated posture, developmental delays, degraded short-term memory, seclusion and lack of motivation... especially for our children! --->>Learn more about digital dementia when you attend this free, online event! 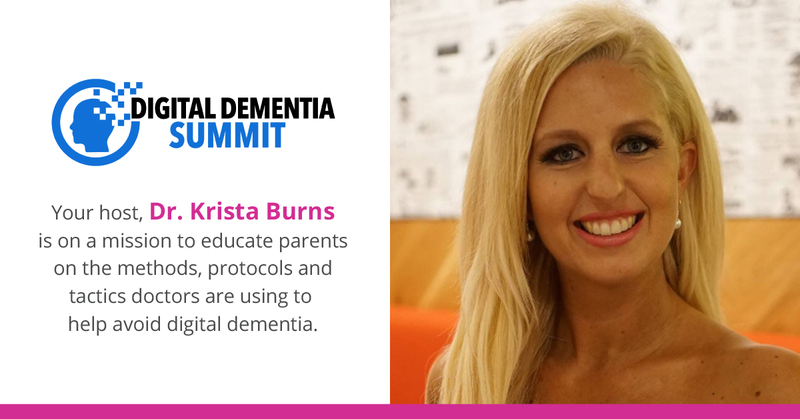 Your host, Dr. Krista Burns, is a highly-sought expert, author and speaker who has been educating practitioners about the dangers of digital dementia for over 5 years -- it's now time to reach parents directly for their health and that of their children. Through this event, you'll learn the methods, protocols and tactics doctors are using to help your children prevent digital dementia. The overstimulation of technology and a sedentary lifestyle are such problems that adolescents now show non-Alzheimer's, dementia-like symptoms. Fortunately, the solution isn't to get rid of technology, but learn healthier habits while engaging with it -- and that's why our experts are here. --->>I'll see you online at this educational summit when you register today! P.S. Overconsumption of screen time can lead to a breakdown of cognitive abilities and deteriorated posture, developmental delays, degraded short-term memory, seclusion and lack of motivation -- it's important to learn more when you register today! SUBJECT: [New summit] Digital dementia: a modern day health epidemic! SUBJECT: How much time do your kids spend on the screen each day? Overall 1.8 billion people own smartphones and use their devices on a daily basis. Some studies estimate that an average person checks their screen 150 times a day. And, data shows that nearly 70% of 11 to 12-year-old kids use a mobile phone; 90 percent by the age of 14 (Williams, 2016). --->>That's why I invite you to join me at The Digital Dementia Summit! Advancements in technology are beneficial to the advancement of society in an economic and business sense. However, the long-term impacts of the technology are still unknown. The Millenials are a new generation; the first in history to be exposed to screens and mobile devices throughout all stages of their physiologic development. It's more relevant now than ever before to focus on optimal postural design and neurologic function at a young age. The human brain is plastic and adaptable and always changing in response to the environment. Children's brains are particularly adaptable in development, which is now when the brain is most exposed to technology. Young people are now being born into a world where it is normal to spend an average of 8 hours each day exposed to digital technology. This exposure is rewiring their brain's neural circuitry. According to Williams (2016) increased screen time neglects the circuits in the brain that control more traditional methods for learning in the frontal lobe. These are typically used for reading, writing and concentration. With loss of these important skills, digital dementia has arrived. This term describes how overuse of digital technology is resulting in the breakdown of cognitive abilities in a way that is traditionally seen in people who have suffered a head injury or Alzheimer's disease. --->>Click here to join me at The Digital Dementia Summit, free and online! P.S. When you register today, you'll also unlock Dr. Krista's Digital Dementia Prevention eGuide and 7 Steps to Save Your Child's Brain eChecklist! SUBJECT: Get this guide to raise healthier (digital) children! SUBJECT: Free report on digital dementia in kids! SUBJECT: This eGuide can help with digital dementia! Get Dr. Krista Burns' Digital Dementia Prevention eGuide and 7 Steps to Save Your Child's Brain eChecklist, and learn brain-saving steps to raise healthier children! --->>Click here to download your free eGuide and checklist! The average adolescent spends 7.5 hours per day on their device; this is impacting their brain function. Staring at a screen is hyper-stimulating to parts of the brain that controls visual processing and stress. Yet, part of the brain that controls decision making, learning, memory, coordination, balance and movement are under-stimulated. You can strengthen your child's brain with proper stimuli. Think of the brain as a muscle, with proper stimulation your child can strengthen their "brain muscle" for health and success. Implementing these important steps into your child's life is the foundation of a healthier tomorrow. The habits they create today can either increase the changes that your child will develop digital dementia, or you can help them save their brain to perform well in school, live happier and be more connected in a disconnected world. And, be sure to join us on May 20th for the start of the free, online Digital Dementia Summit -- over 50 experts brain-savings steps to raise healthier children! --->>Click here to gain IMMEDIATE ACCESS to these gifts now! P.S. Don't miss Dr. Krista Burns' Digital Dementia Prevention eGuide and 7 Steps to Save Your Child's Brain eChecklist, when you click here to grab them now! Have you ever noticed someone in a "tech trance?" Children in a "computer coma" as they sit and walk around hunched over their devices? Human posture is devolving at the speed of technology, and posture is significantly linked to active brain health. Don't miss The Digital Dementia Summit from May 20-26, free and online! The overstimulation of technology and a sedentary lifestyle are such problems that adolescents now show non-Alzheimer's, dementia-like symptoms. Fortunately, the solution isn't to get rid of technology, but learn healthier habits while engaging with it -- and that's why our experts are here. Don't miss The Digital Dementia Summit from May 20-26, free and online! 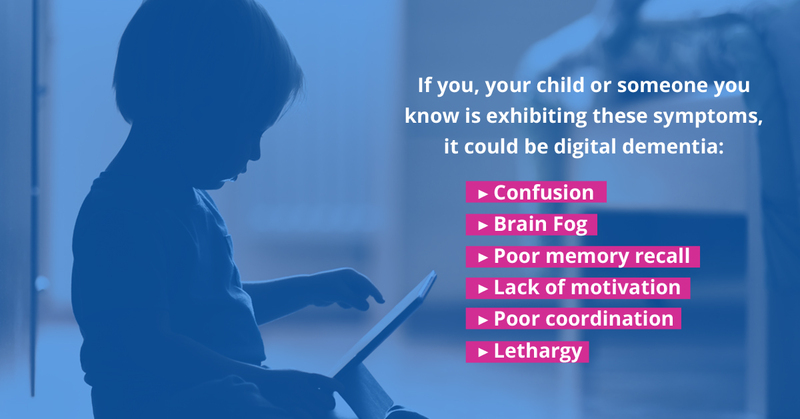 If you, your child or someone you know is exhibiting these symptoms, it could be digital dementia: confusion, brain fog, poor memory recall, developmental delays, poor coordination, behavioral disorders. Don't miss The Digital Dementia Summit from May 20-26, free and online!